Dual lens but will you Leica it? With the Huawei P9, the company not only wants to win the high-end smartphone market but also appeal to people who like taking photos. Hence the Leica-designed rear camera. Will this win over Android users? 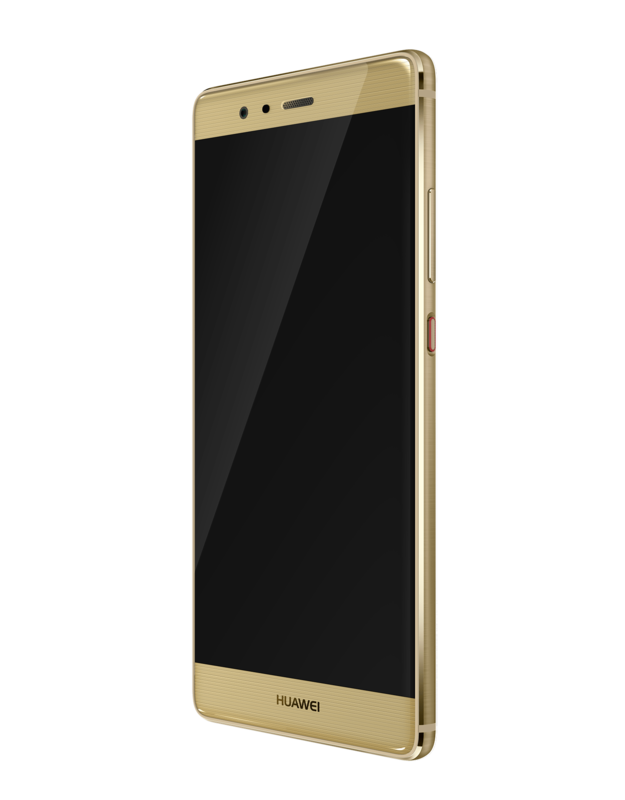 With the Huawei P8 last year, the firm proved that they can deliver a good smartphone. The unit had a nice and sleek aluminium design which was also one of its greatest assets. The performance was okay and with the rear camera could get reasonable pictures. This time, Huawei’s reputation as a cheap Chinese smartphone manufacturer is officially over. You can’t call the P9 a cheap smartphone, the entry-level unit costs € 599, but you get value for money. The smartphone has a nice aluminium design which is flush to the camera sensor. Internally also seems to be all right. Huawei smartphone is equipped with a 955-Hisilicon Kirin octa core processor and 3GB or 4GB of RAM. Storage options range from 32GB and 64GB of internal memory with expandable memory options too. The battery in the smartphone 3000mAh. It comes with an 8-megapixel selfie camera. 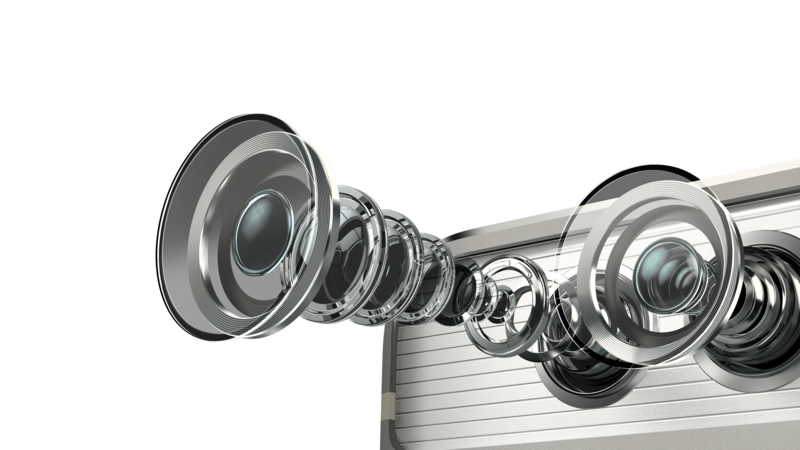 For the rear camera, Huawei has partnered with Leica, the result is two 12-megapixel rear cameras. For the OS Huawei has persisted with EMUI, this time on Android 6.0 Marshmallow. We have never been such a big fan of this skin. Especially because there are not many visual changes. New for smartphones in the P-series is the fingerprint scanner on the back of the unit. Like its predecessor, the device is made of glass and aluminium. Not only that but the rear camera doesn’t protrude. Under this glass panel, there are small finishing lines visible. This finish is also visible in the edges on the front of the unit. This exudes a bit of class but still feels fashionable. A downside to this design is the large Huawei logo in front, in our opinion should not be there. The aluminium on the back of the handset has a matte finish so that the smartphone will quickly slip out of your hand. Even if you have smaller hands. A disadvantage is that aluminium, just like the glass on the rear camera is quickly scratched. Nevertheless, we remain fans of the design of the Huawei P9. The device just looks so good, that we can forgive easily scratched. Especially because Huawei has had an eye for detail during the design process. For example, the power button has texture and around the button is a small ‘introversion’. For an IPS panel are black tones appear very deep, and the liveliness is certainly near the screen with a Samsung Galaxy S7. Huawei P9 have only just come off worst. On the viewing angle and brightness of the screen we have nothing negative to say, both are fine. There are two models of Huawei P9. One with 3GB RAM and 32GB of internal memory and a variant with 4GB of RAM and 64GB of internal memory. We have tested the model with 3GB RAM. Identical in these two models is the processor: to be exact, a Hisilicon Kirin 955 2.5GHz-octacore processor. Daily tasks are no problem, even when multitasking. The same applies when you use bigger applications. Only during multitasking between games like Real Racing 3 did we secretly hope that we had the 4GB version. For all other tasks, 3GB was more than good enough. Want to use the P9 for several years? Then you might opt for the best model with 4GB of RAM. When some were playing games on the Huawei P9 noticed that the plane was reasonably warm. Not distracting hot, but hotter than a Samsung Galaxy S7 Edge for example. An additional advantage to the aluminium design is that the smartphone cools quicker. Huawei has put a 3000mAh battery in Huawei P9. Slightly larger than the average for a smartphone of this size. When you use the Huawei P9 all the time, you can get through the day on a single charge. With the brightness automatically and average use of mobile data, we could even get to 5 hours screen-on time. the Huawei P9 the first smartphone with three antennas, which really enhances the range. In places where I could not connect with another smartphone with a 4G network, this was the Huawei P9 no problem. The Huawei P9 comes with the familiar EMUI skin. This time, Android 6.0 Marshmallow. This skin is very noticeable. However, the software runs smoothly on the P9, and you also get some useful features on. One of these, the battery saving mode. Huawei has also added additional functionality to the fingerprint scanner. You can not only unlock your smartphone with but also perform movements. When you swipe down on the sensor you can leave open your notification centre. Bloatware seems to be a growing problem with Huawei phones. This time, not just games, but also an application to book them a hotel. Fortunately, a number of the bundled applications can be removed. Only applications such as the music app, cannot be removed. Leica has partnered with Huawei to make a smartphone camera for the first time. Leica is a well-known name in the camera world, and rightly so. The result of the cooperation between Huawei and Leica is a dual 12-megapixel rear camera. Why now two sensors? This is fairly straightforward to explain. With one sensor, you can take normal RGB images (colour photographs), while you can shoot with the other sensor black and white images (monochrome sensor). In itself, this does not sound so spectacular. Because when you take a picture the colour and black and white photographs are combined on the Huawei P9 to obtain a more realistic picture. Videos can be shot up to full HD at 60fps, but no 4K unfortunately. Images look good, and beautiful colours appear in the pictures. Focusing is also fast. Sometimes the videos look a little choppy because it lacks optical image stabilisation. The device has very few negatives, but it just does not really excel. The software is the biggest flaw of the phone. In terms of design, the smartphone is not inferior to the competition, and the performance does not disappoint. Looking at the camera, they have delivered with the partnership with Leica. You get great value for your money. It is not a cheap Chinese smartphone, but for its price it is a very interesting device.